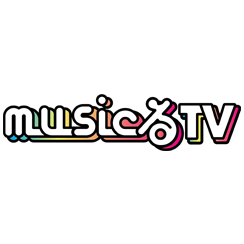 Artists、Producers/Songwriters、Demo/Audition｜TV ASAHI MUSIC CO., LTD. If you wish to hire Our Artists for various events, please apply via each Artist’s Official Website. NAOKI-T’s first produce Song is Ketsumeishi’s “Sakura”, which was released as part of KETSUNOPOLIS 4 album. It was highly welcomed by the fans to have hit a 2.4- million-unit record sale, and because of this, the annual grand album prize award was granted by the Japan Record Award. He has produced a number of hit songs for many artists such as FUNKY MONKEY BABYs since its debut to the group’s break-up. Another example is a currently active Artist dubbed “miwa”. NAOKI-T has produced such hit Song as Hikari-e since her debut time. Due to his talent in producing, composing and arranging a variety of Songs, he is well trusted by Artists and staff members. NAOKI-T’s genre includes rap Music, dance Music, Singer-Song writers’ Music, Music bands and Johnny’s Artists. He is good at creating not only hit Songs but also Artists’ image Songs and Songs for Live Concerts. Machine Ikuta started making visual Music works in Osaka late 1990s. During the same period, he had also supported track-making and Live-Concerts of such Artist-groups as BOREDOMS, “Omoide Hatoba,” and “OOIOO”. In 2004, he moved to Tokyo to actively launch his Music activity as “Machine Ikuta”. Since then, he has been involved in a number of arrangements of Idol Singers’ single-Songs such as “Flying Get” of AKB48 and singles of Johnny’s Artists. Ikuta’s arrangements created many hit Songs, and therefore he was ranked as the Number One arranger of the year in 2011. He’s good at working on a variety of genres including Idols, J-POP, acoustic and R＆B. From these view points, he’s a top-notch creator to maximize each Song’s potentials. After graduating from high school, GRP entered Soai University majoring in Music composition at the Music Dept. GRP started his Music-writing carrier after his graduation from university. Since then, he has written Songs for various Artists. GRP is also talented at playing many Musical instruments, which has given him a new horizon as a support keyboardist and guitarist of Artists. GRP is so-called a multi-creator who has been actively involved in various Music scenes. Yoshiyuki Kinoshita started practicing the classical piano in his early childhood. Upon entering junior high school, he started practicing the electric guitars. Then, he started Music group band and writing Music. Yoshiyuki Kinoshita is specialized in group-band sound – He writes Music for Rock, ballad, J-POP, Idol singers and animation programs with guitar sounds and the acoustic guitar. His trend-making arrangements and quality melody are well-known in the industry, and he is so-to-speak the most powerful writer now! MEG.ME started practicing the piano when she was 3 years old, and started composing Songs at 7 years old!! Since then, she has won a numerous number of prizes including the Grand Prize for her composition at Toyama Prefectural Youth Music Competition. MEG.ME is also good at musicals and stage-show Music. At university, she majored in music-writing (composing Songs), and she was actively involved in a variety of fields including classical Music and pop Music. Later, she was experienced as a Singer-Song Writer, and then she officially started her Music writer’s career as “MEG.ME” in August 2011. MEG.ME is a so-called multiple-talented female Song-creator who has been actively involved in writing, composing and arranging Songs. KOUGA studied the classical piano and the violin since very young age. He was yarning for creating Songs since then. After experiencing a guitarist/vocalist at a band, he started actual study on composing by entering sound produce course (composing department) at university. KOUGA’s catchy melody-make technique is worthy of note. He is a young-and-spirited Music creator with dependable knowledge and credible sense. For your Request to create Music, please fill in the form below. to get the Request Form! TV ASAHI MUSIC welcomes demonstration/sample work from novice Artists and Songwriters. ※We accept your application via postal mail only. No application via website or e-mail, please. ※We accept self-applied application only. No recommendation, please. ※Your application materials will not be returned. You (the applicant) must be a free-lance personnel who is currently NOT employed by any productions, record companies or Music publishers on a full-time basis. Artist name (Please add Kana in case of Kanji), Group Leader’s name, Contact address, Phone number, e-mail address etc. Your action scenes such as your Live Concerts or Music Events, your self-introduction or your comments. music-Ru-TV – New Project starts! On this TV Program, we are looking for talented budding Composers regardless of your amateur or professional experiences. If you wish to make a debut as a Song Writer, or if you want to contribute your top-notch Music pieces, please do not miss this opportunity!